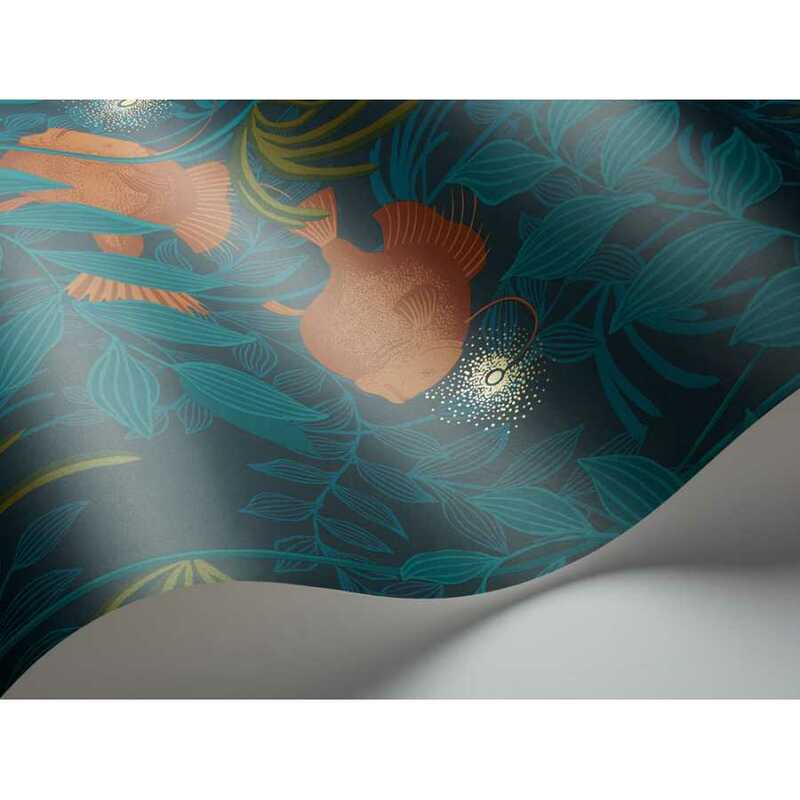 Bringing a charming and mysterious underwater world to your home, this Nautilus wallpaper is an elegant choice for any room. 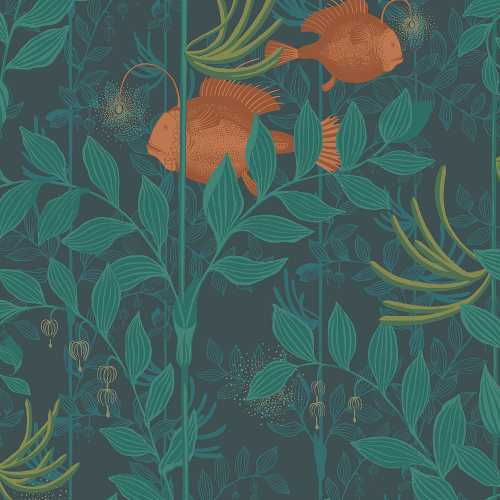 It incorporates two unusual and eye-catching angelfish at the heart of the design and they shimmer gently against a background of underwater plants, sea vegetables and fronds. The Nautilus design is part of the Cole and Son Whimsical Collection and this range celebrates nostalgic and enchanting designs, many of them inspired by the stories of our childhoods. The Nautilus design is no different and captures an enchanting undersea world. Bringing the beautiful, natural seascape to your home interior, the Nautilus design looks wonderful wherever it is hung. 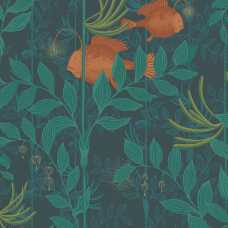 In this 103/4019 colourway, the angelfish and accents are picked out in a bold, warm orange whilst the background brings together striking green tones. 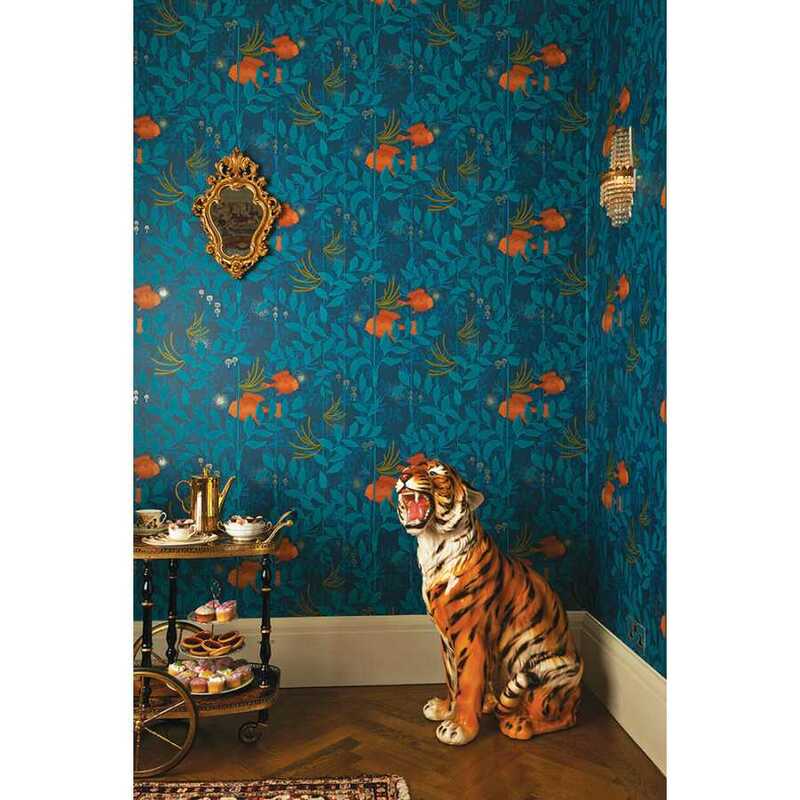 Each roll of Nautilus wallpaper measures 52cm in width and 10 metres in length. It has a half drop pattern match and a 64cm pattern repeat. The angelfish make a unique and charming addition to any home and shimmer gently against the background. If you would like to find out more about the designers behind this piece and would like to explore the rest of their collection, please visit our dedicated Cole and Son brand page.